Take your skiing to the next level, transform your technique, and improve your performance on and off-piste with Clare Burns. Based in Val d’Isère, France, Clare has the top level ski instructor qualification awarded in France (Moniteur Nationale). She teaches the most modern technique and implements the most innovative coaching methods available. 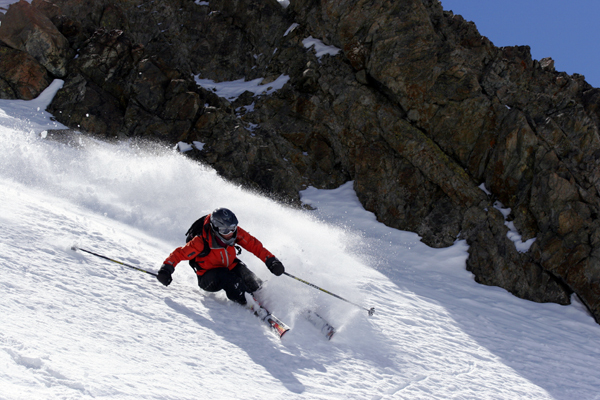 Unlike traditional ski schools, each ski lesson is tailored to your specific individual needs and goals. Because every skier is unique, every lesson is adapted to the individual skier to ensure rapid progress. Her coaching will help you gain confidence and control in a fun, laid-back environment. Whether you want to master moguls, conquer the off-piste, carve up the groomers, hone your freeriding skills, or simply make it to lunch in one piece, she is dedicated to improving your skiing and helping you to achieve your goals. Clare Burns. Picture Window theme. Powered by Blogger.